April 8, 2018 (Tony Cartalucci - LD) - The US media is now priming the global public for US intervention in Syria following alleged "chemical attacks" carried out in the remaining pocket of US-backed militants in Douma, just northeast of Damascus. Image: Trump isn't going to "withdraw" from Syria when the special interests he represents still fully plan on waging war - proxy or otherwise - on Syria's ally Iran. The recent appointment of John Bolton and Mike Pompeo to key positions within his administration signal expanded war, not withdrawal. This follows comments made by US President Donald Trump just 3 days ago in which he claimed he had instructed the US military to prepare for a withdrawal from Syria. US forces had illegally invaded and have since occupied Syrian territory for years, with the Washington Post in its April 4, 2018 article titled, "Trump instructs military to begin planning for withdrawal from Syria," placing the current number of US troops at approximately 2,000. President Trump has instructed military leaders to withdraw U.S. troops from Syria as soon as possible and told them he wants Arab allies to take over and pay for stabilizing and reconstructing areas liberated from the Islamic State, according to senior U.S. officials. However, just days after President Trump expressed a supposed desire to leave Syria, allegations of Syrian government chemical attacks on Douma have provided not only the prefect pretext to delay any withdrawal, but to in fact justify a US-led military intervention directly against the Syrian government. While some have attempted to portray this as "Trump vs. the Deep State," it is in fact a textbook example of US deception described in US policy papers - a deception President Trump played a central role in creating. In the 2009 Brookings Institution policy paper titled, "Which Path to Persia? 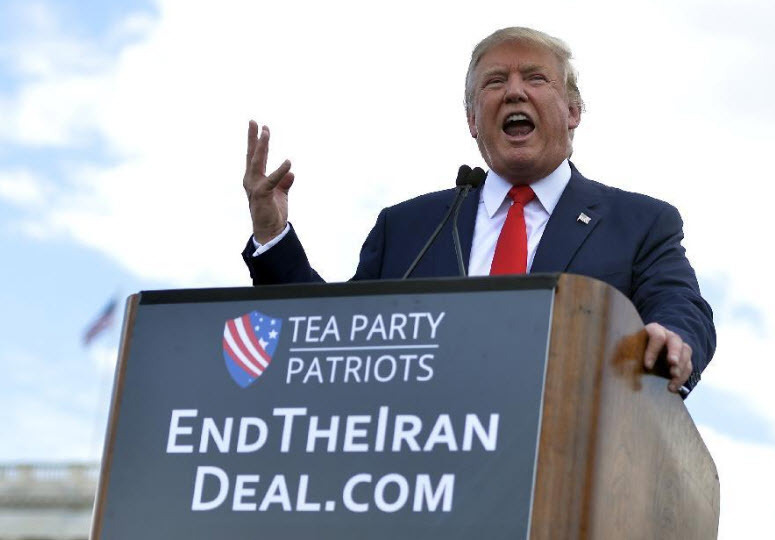 Options for a New American Strategy Toward Iran" (PDF), everything from supporting terrorists in a proxy war to staged provocations and full-scale war were planned in excruciating detail. Included among the US policy think-tank's schemes was the description of a deception similar to the one now playing out in Syria. For Syria, the "offer" was a US withdrawal and Damascus and its neighbors "given" the responsibility to humanely end the conflict and stabilize the region. The "rejection" inviting the US to intervene is the staged chemical attacks in Douma the US is now citing. Nothing could be more "outrageous" or "deadly" than using chemical weapons on civilians. That such allegations of a chemical attack already served as a successful pretext for US military aggression in the form of cruise missile strikes across Syria under President Trump before, is precisely why the Syrian government wouldn't have carried out such chemical attacks then, and most certainly would not carry them out now - especially if the US was allegedly seeking to exit Syrian territory. The Syrian military with the support of Russia and Iran, have soundly defeated US-backed militants across Syria with conventional weapons. The only significant territory Syria has yet to retake is that being occupied by the US and NATO-member Turkey. 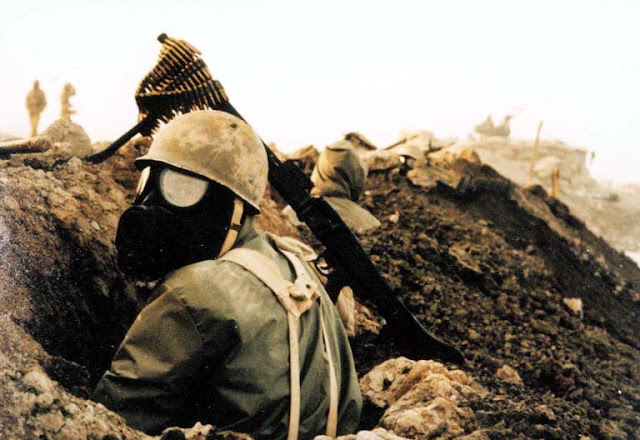 As it has been mentioned before, the extensive use of chemical weapons during the 1980-1988 Iran-Iraq War - by the US military's own assessment - proved such weapons to be highly ineffective and inferior to conventional weapons. Added to the fact that the US has sought to use the deployment of chemical weapons as a pretext for direct military intervention in Syria toward long-sought after regime change in Damascus makes the likelihood that Damascus is using chemical weapons all the more impossible. There is also the fact that Syria has already turned its chemical weapon stockpiles over under a Russian-brokered deal which was overseen by the United Nations itself. 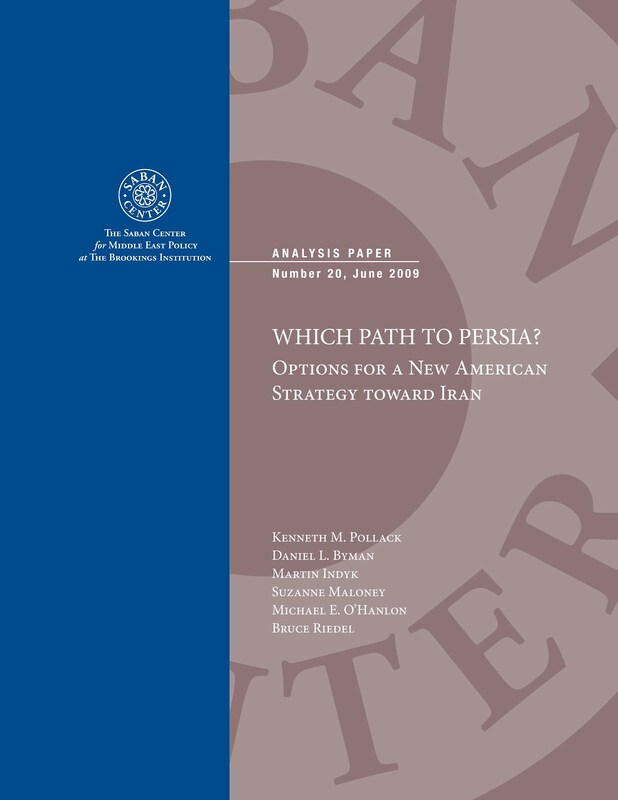 Reading through the 2009 Brookings document, the US has gone through all possible options prepared for Iran - but against Syria - several times over, but to no avail. 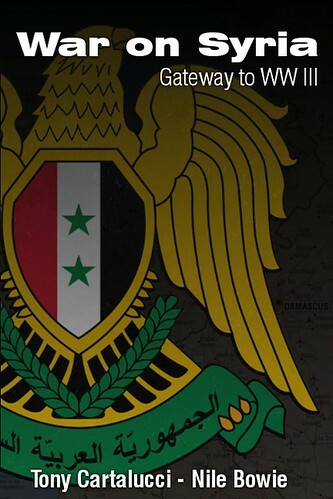 Even the prospect of Balkanizing Syria appears tenuous. An attempt to revisit accusations of "WMDs" yet again, signals desperation across Western policy circles. For those who have invested hope into President Trump - his role in a documented scheme to deceive the global public and make US military aggression appear as a last resort after apparently withdrawing from confrontation - is sufficient evidence that it is not "Trump vs. the Deep State," but that "Trump is the Deep State." 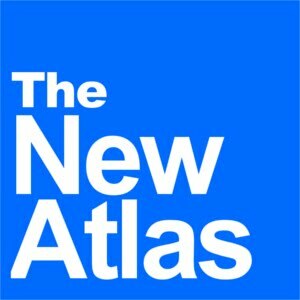 It should be remembered that recent appointments to President Trump's administration included prominent pro-war advocates including John Bolton and Mike Pompeo - both eager for a US-led military intervention in Iran which makes President Trump's recent calls for a withdrawal from Syria all the more questionable. It is also worth noting that US-backed militants in Douma are essentially gassing people to advance the West's political agenda. This comes as the UK's case against Russia regarding the alleged assassination attempt on Sergei Skripal and his daughter unravels. Considering Washington and London's history regarding false accusations surrounding chemical weapons - as well as policy papers plotting to stage provocations, the US and UK emerge as the prime suspects in serial crimes against humanity involving so-called "weapons of mass destruction." It is becoming abundantly clear that in addition to the West fueling the very terrorism it claims to be fighting globally, it is also the West that poses the primary threat to the globe regarding the use of chemical weapons.